I am seriously SO impressed with all of your makeovers, projects, and updates. I wish I could rent you two to come help at my house! 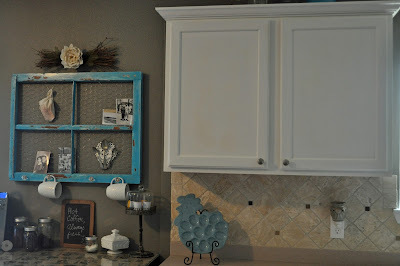 Wow...never thought of two tone. 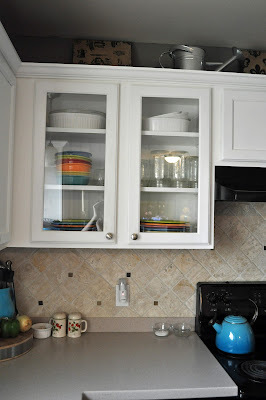 I sanded bathroom cabinets several years ago and we put a clear stain to lighten- turned out rustic and beautiful. You have inspired me to start on the kitchen. 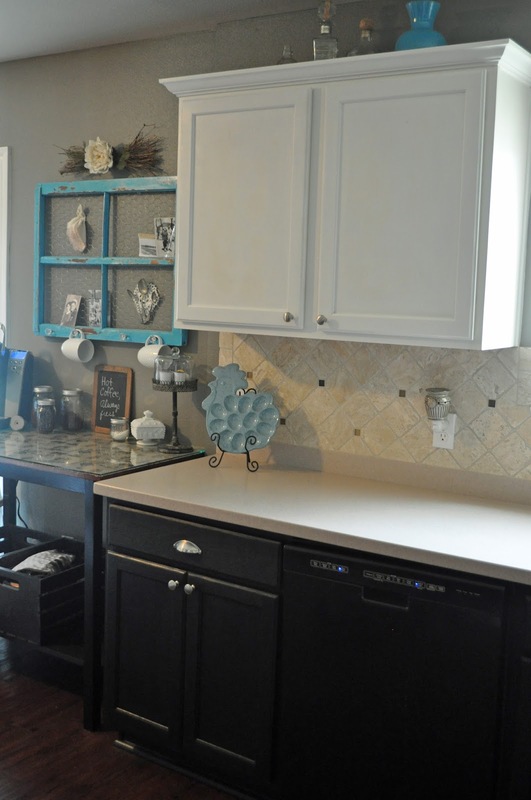 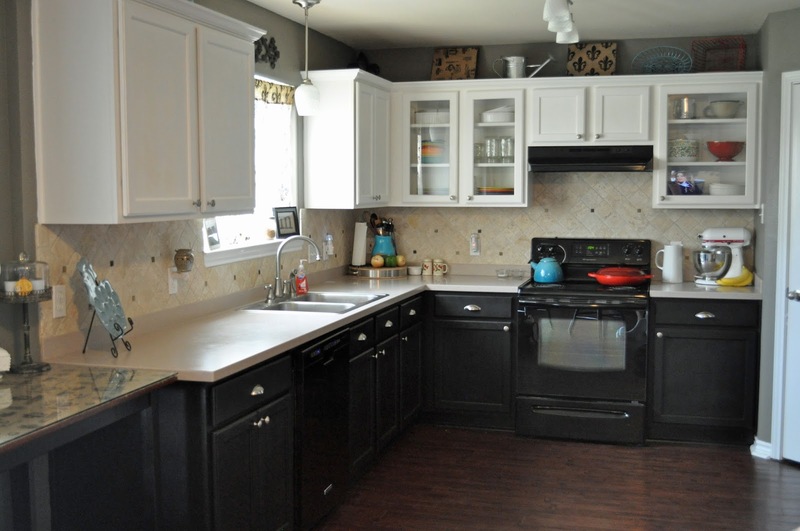 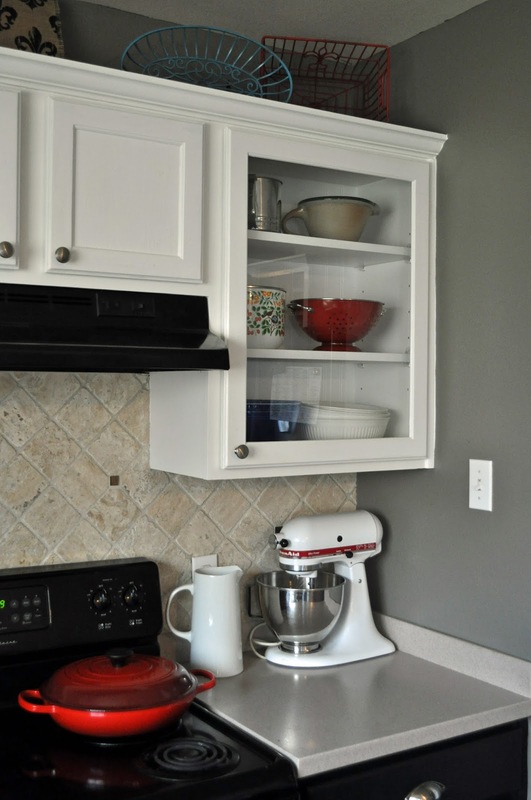 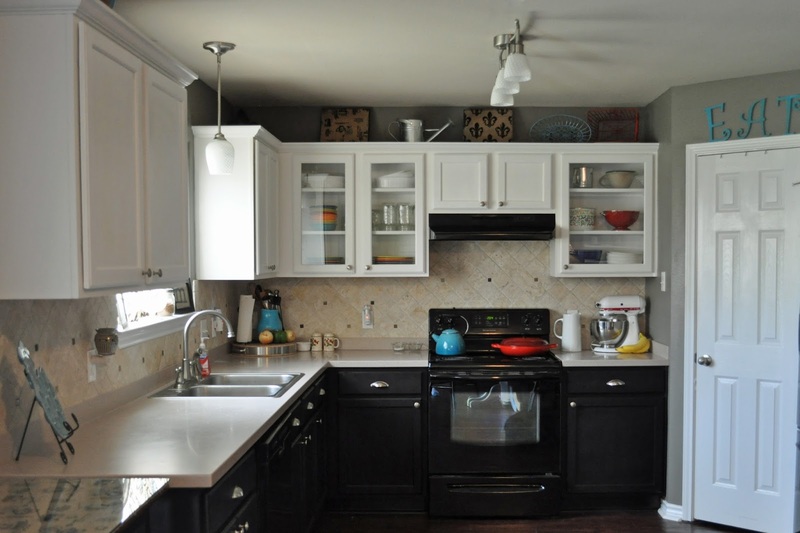 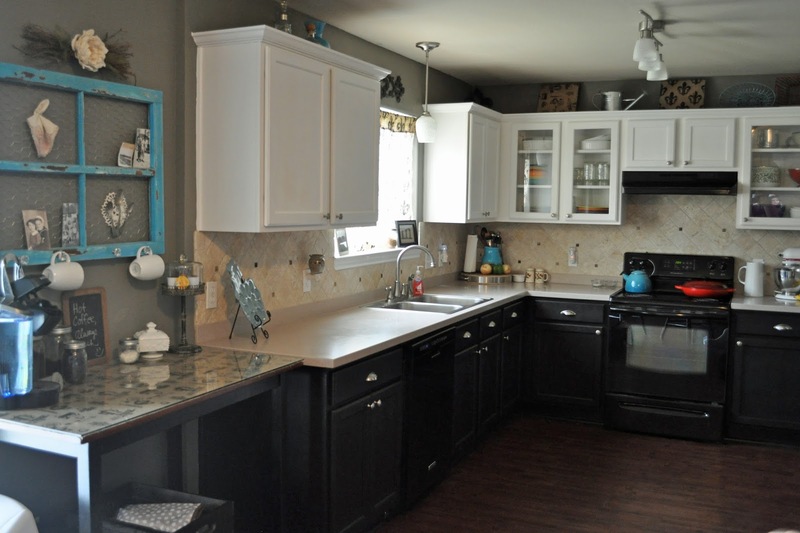 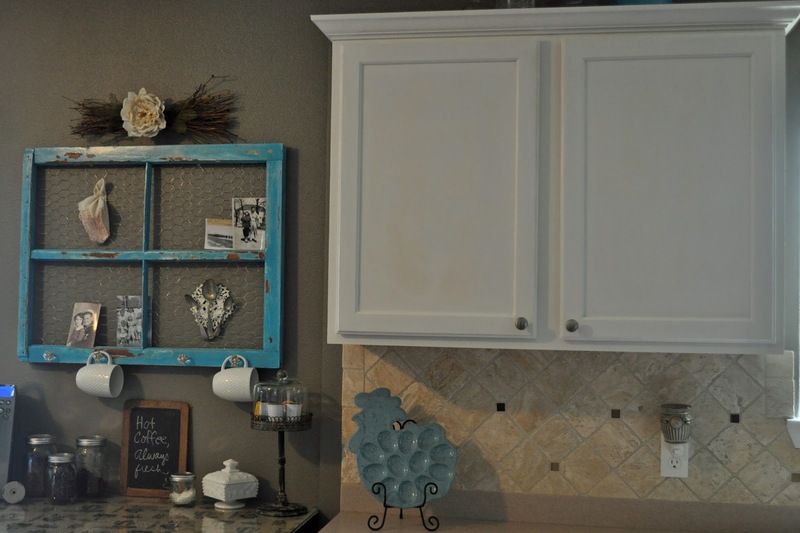 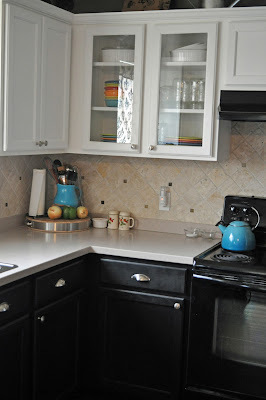 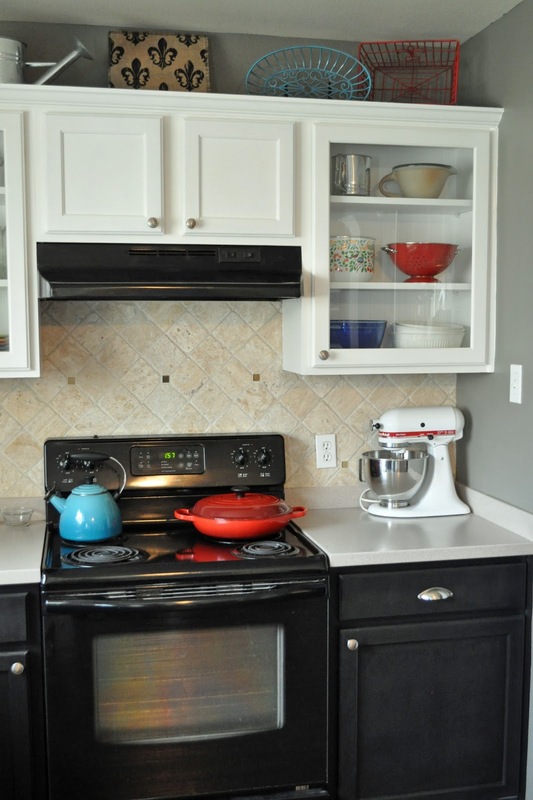 Did you just paint your cabinets because I'm nervous about painting a color versus staining.